Update (4/29/2018): The Catholic Diocese of Pittsburgh announced on Saturday, April 28, how its 188 parishes would be grouped into 57 new, multisite parishes. The diocese had originally proposed there would be 48 groupings. The diocese also shared which priests and deacons would be assigned to the new groupings. According to the diocese press release, the groupings are expected to merge into new parishes between 2020 and 2023. A complete listing of parish groupings, clergy assignments and other information is available at onmissionchurchalive.org. The Catholic Diocese of Pittsburgh counts 632,138 people as members of its fold, though less than a quarter of those congregants attend Mass weekly. Half of the diocese’s 188 parishes are running operating deficits. And the diocese anticipates the number of active diocesan priests to drop 50 percent within seven years, to 112. When Bishop David Zubik sees these numbers, he doesn’t take it as a sign of a church in crisis, but rather a side effect of Rust Belt residents moving to other regions. In 2007, Zubik’s inaugural address as bishop put forth a vision for the future that would eventually inform a strategic planning process to restructure and reinvigorate the region’s Roman Catholic churches. It was dubbed “On Mission for the Church Alive!” In September 2017, the diocese’s On Mission Commission announced initial recommendations for whittling the number of parishes down to 48. 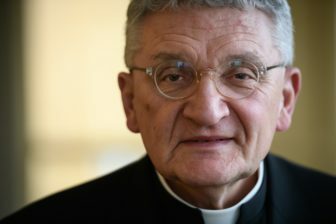 Zubik will share final plans for consolidations with priests and deacons on Thursday, April 26, before holding a press conference on April 28 to make the decisions public. Groupings will also be shared at weekend Masses and made available online. In a sense, this restructuring is the continuation of a decades-long process. Under Zubik’s predecessor, Bishop Donald Wuerl, the diocese reduced its parishes from 323 to about 225 in the 1990s. But how are parishioners affected when the diocese closes their home churches? And what happens to church buildings once their parishioners migrate and the buildings are left empty? The South Side and Hilltop neighborhoods may provide a case study of how churches have merged in the past and what it means for their future. At least 15 Catholic parishes have operated in the neighborhoods at some point since the diocese’s founding in 1843. As in other Pittsburgh neighborhoods, many formed within ethnic enclaves of immigrants working in the city’s mills. Ethnic Germans formed St. Joseph in 1870. Lithuanians created St. Casimir in 1893. Only two parishes remain in these neighborhoods — St. Mary of the Mount and Prince of Peace. Both have absorbed parishioners as other churches closed. Now the On Mission strategic planning process has recommended that those two fold into a single parish. Parishioners celebrated their final Mass at St. Justin in early 2013. The church building was sold the next year and has been transformed into a 46-unit apartment building. Boss acknowledged that some parishioners were unhappy with the merger, though many eventually returned. “I think it’s healed,” she said. St. Canice in Knoxville: Sold in 2012 to Lion of Judah Church. The building is again up for sale. St. Henry in Arlington Heights: Sold in 2014 to Pgh Burgers & Fries Inc., owned by Prasad Margabandhu, according to Allegheny County real estate records. Taxes have gone unpaid. The building has gone unused and has been cited by the City of Pittsburgh for code violations. St. Joseph in Mt. Oliver: Sold in 2013 to Potter's House Ministries and is being used for non-denominational church services. St. George in Allentown: Became home to the newly formed St. John Vianney in 1994. The church building closed in 2016 and is currently boarded up and unused. The St. George Preservation Society has proposed leasing or purchasing it from the diocese for hosting religious ceremonies and community activities. The society has appealed to the Vatican to reverse the diocese’s decision to close the church building for good. The Prince of Peace parish currently operates out of two church buildings in the South Side Flats — St. Peter and St. Adalbert. 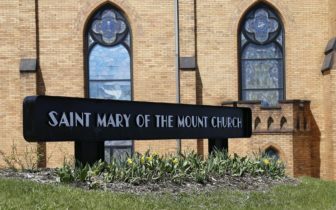 Stumpf said St. Mary’s mission committee has discussed outreach efforts in Allentown, which is part of the parish. “There's been lots of conversation about issues of how to cross boundaries of race because there's a mixed racial community. Zubik’s April 26 announcement will initiate a transition phase, during which clergy assignments and Mass schedules will be determined before they are implemented on Oct. 15. The fate of church buildings left empty by the consolidations will not be determined this year. Matthew Craig is executive director of the Young Preservationists Association of Pittsburgh. His organization promotes the preservation of historic buildings as an important element of economic development, which can include the creative repurposing of churches. 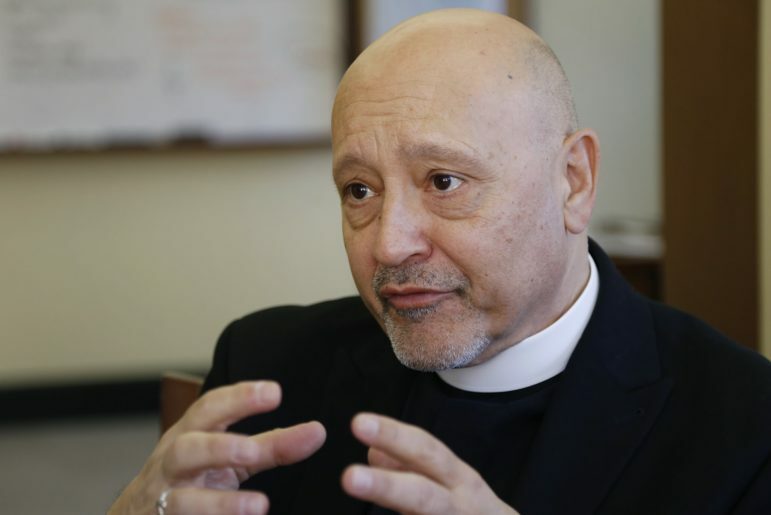 “The church will probably say … that they’re not in the historic preservation business, they’re not in real estate business, they are in their church business,” he said. The Young Preservationists’ annual “Top 10” Best Preservation Opportunities lists have included the St. John Vianney Church in Allentown, completed in 1912, and the former Italian Christian Church of Pittsburgh in Shadyside, which began as a Presbyterian church in 1898. Craig acknowledged that not all edifices being closed by the diocese can find a “distinct repurpose” or be maintained affordably. He emphasizes that any repurposing of a historic edifice requires sustainable operations — an ability to pay the utility bills and maintain a structure. “At its heart, historic preservation is just good real estate,” he said. There are many examples of creatively repurposed churches. 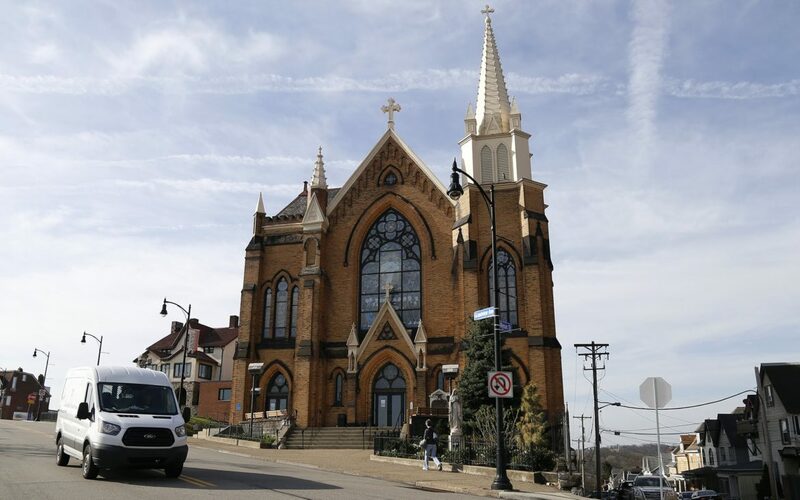 St. Helen Church in East Pittsburgh closed in 2014 and eventually became The Holy Grail Garage, which stores vehicles and provides clubhouse patrons with TVs, a pool table, bar and cigar room, a kitchen and laundry facilities. In Lakewood, Ohio, near Cleveland, the former St. Hedwig Church became the Museum of Divine Statues, housing statues and other artifacts culled from defunct Catholic churches. "We’re not here to preserve something that we have from the past, because that’s static." The diocese’s strategic planning process began in earnest in 2012 with various councils at parish and diocesan levels meeting to discuss restructuring parishes, in consultation with the Catholic Leadership Institute. The criteria for grouping parishes included whether there were existing relationships, the ratio of clergy to parishioners and the capacity of parishes to accomodate more people. Lay and clergy leaders within each new grouping will discuss the fate of specific buildings, guided by canon law, and then make recommendations to Zubik. The diocese has raised $234 million in cash and pledged support as of December 2017 to support restructuring and other initiatives. It’s the largest diocesan fundraising campaign, in terms of parishioner pledges, in U.S. history, according to the National Catholic Register. More than $44 million has already been allocated for an array of long-term needs at parishes, schools and other institutions. He pointed to Holy Apostles Parish that serves the South Side neighborhoods of Carrick, Baldwin and Overbrook. The consolidated parish administration operates on a rotating Mass schedule out of four church buildings: St. Albert the Great, St. Basil, St. Norbert and St. Wendelin. Parishioners began working together on festivals and fish fries and formed relationships. Marge Lubawy, 75, knows she’s facing a similar church transition. She grew up in Allentown and attended St. George Church and school, beginning in the 1950s, but now lives in Brookline where she attends Church of the Resurrection. The On Mission Commission recommended that Resurrection combine with five other parishes in Beechview, Brookline and Mt. Lebanon. For those who disagree with the diocese’s decisions, Esposito would ask: “Do you want your grandchildren to have the faith? Do you want this building or do you want us to be able to share the faith with them? What’s more important?” He emphasized that each grouping will need to prioritize according to their sense of mission. “You prune to grow,” he said. This story was fact-checked by Abigail Lind. Melissa Rossiter is pursuing a doctoral degree in Community Engagement at Point Park University. She can be reached at marossi@pointpark.edu. Jean Ripepi, 87, remembers her first mass at St. Anthony Church. Count my family among the the 40%. We found no spiritual fulfillment in the Roman Catholic churches we attended in the region and switched to an Episcopal Church (ironically a decision supported by my aunt the nun). We found that a significant portion of our church was composed of former Roman Catholics. But the just a clarification, while the population situation in the region is much healthier than it was in the 1980s and 1990s it is be no means “revitalized”. The Chicago metropolitan area was the only region to lose more people than Pittsburgh in 2017. In addition to the fact we are the only major metropolitan area with more deaths than births, we don’t attract immigrants at the same rate as other cities and we do still see more people moving out of the region than are moving in. Absolutely correct, Super Genius. The Catholic leadership is so out of touch that they still think Pittsburgh is declining. I am on the streets of Pittsburgh daily, and I’ve never seen such a vibrant, growing, diverse, inviting community. As you said, Pittsburgh is one of the “hippest” cities in the country. Too bad the Catholic Church refuses to be “hip” right along with us. Every week at Mass, they pray for the “…continued growth and prosperity of the Catholic Church in Pittsburgh.” I just laugh. Please don’t cite anyone on this article as a fact checker. It is a disgrace that you allowed the pathologically lying diocese to blame the loss of Catholics on population decline. They used that excuse in the 90s when they closed numerous churches. Since then, the population in the region has been steady while every vital statistic is horrendously bleak for this diocese. There are even plans to close churches in the north hills where the population is growing. This round of closings is 100% on them and there is no reason to believe that there won’t be more closures in a generation. Contrast this death of the faith here with traditional dioceses and religious orders that have been experiencing steady growth. There is no indication of pruning to grow whatsoever in this diocese. Your failure to call them out on this epitomizes shoddy journalism. I am not happy about this at all. We get a good priest and church grows because of him, and boom you take him away. You don’t care about our feelings. Many of us have helped hold our parishes together. You are the one tearing it apart and you want us to continue to support you? It is going to depend on what happens this weekend for me. The real crisis will be revealed with the Pittsburgh Diocesan Grand Jury findings very soon. I’m sorry, but Pittsburgh went through its Rust Belt decline in the 1970s and 1980s. Since then it has undergone a significant revitalization. People are no longer moving away in great numbers. Good grief – Pittsburgh is widely considered to be one of the “hippest” cities in the country! And yet, since 2003 – well after the Rust Belt decline – Mass attendance is down 40 percent. Various other metrics are even worse. (See http://www.pittsburghcatholic.org/News/Behind-the-numbers–11328770.) And it’s not enough to say, “It’s not our fault – everywhere and every religious faith is experiencing the same downturn.” That’s just a confession that the Catholic Church has been failing in its principal task of building up people sufficiently in the faith so that they can resist being conformed to the world. Crisis? Yeah, I’d say it’s a crisis. Must be that Vatican II “New Springtime” and “Renewal” that we’re supposed to cheer and defend at any cost.